An account with U.S. Bank has been established to benefit the Murnane family. Contributions can be made in person at the branch at 705 North Lake Blvd. in Tahoe City, or online, via the “pay a person” feature — the routing number is 121122676, and the account number is 153498736674. If anyone has issues making a donation, or has further questions, email family friend Rachel Crus at rachel@cruslaw.com. READ MORE: In its editorial this week, the Sierra Sun reflects on this week’s tragic news and applauds several Tahoe City and North Shore people and organizations who’ve interrupted their lives to give back to the Murnane family. 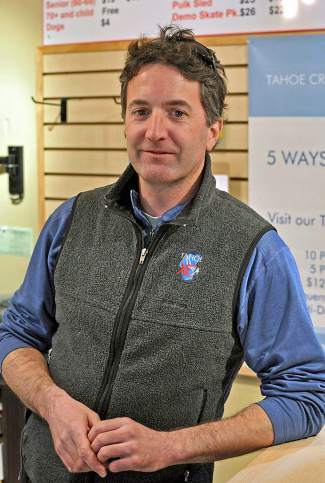 TAHOE CITY, Calif. —Residents and business owners are rallying around the family of Kevin Murnane, whose efforts to promote cross-country skiing have led to tremendous gains in outdoor recreation recognition across the greater Tahoe-Truckee region. Murnane died Tuesday night near the trails at Tahoe Cross Country Ski Area, the business he operated the past 15 years. Since 2000, Murnane served as general manager of Tahoe Cross Country Ski Area, known by locals simply as Tahoe XC. The Murnanes celebrated the business’s 15th anniversary in November 2013. Over the years, the ski area and its programs have grown dramatically and have been recognized nationally. Fundraisers such as the annual Cross-Country Ski Swap, Gourmet Ski Tour, and Full Moon Yurt Dinners have allowed the Tahoe XC Ski Education Association (which Valli manages) to provide affordable Nordic programs for youth and adults in the community. “Kevin and Valli were at my wedding … I have nothing but the highest regard for both of them,” Madigan said Wednesday. “What they did at Tahoe XC was really something special that caters to a community hub that was missing on the North Shore. Kevin Murnane also was an athlete, and he worked hard last year to train for the 2014 Ironman Lake Tahoe that was eventually canceled due to wildfire smoke in the region. In an interview last September with the Sierra Sun, Kevin said he was motivated by Valli, who completed the race in 2013. Kevin Murnane is survived by his wife of 18 years, Valli, and their two children Lily, 11, and Kai, 8. In an effort to help the family, Alpenglow Sports rescheduled Thursday’s Winter Wildlands Alliance Backcountry Film Festival to take place 7 p.m. Friday, Feb. 27. The fundraiser — a part of the Alpenglow Mountain Festival that was originally supposed to benefit Sierra Watershed Education Partnerships — will take place at Granlibakken Resort. The public is encouraged to attend. Cost of admission is $10; all proceeds will go to Valli and Tahoe XC. Call Alpenglow at 530-583-6917 with questions. Emergency crews found Murnane’s body after a four-hour search at about 9:30 p.m. Tuesday in the woods near one of Tahoe XC’s trails, said Placer County Sheriff’s Office Det. Sgt. Dave Hunt. Valli received a phone call at about 9:30 a.m. Tuesday from a neighbor informing her the family’s dogs were outside their home near the resort, Hunt said. When Valli got home, she couldn’t locate Kevin or reach him via cellphone. She reported him missing at about 5:30 p.m., Hunt said, prompting a search involving roughly 75 friends, family and emergency personnel. The North Tahoe Fire Protection District and Tahoe Nordic Search & Rescue were among agencies that assisted PCSO. The cause of death is under investigation, pending a coroner’s autopsy, Hunt said.